For the Gurkha Cellar Reserve, Gurkha takes a page from the wine connoisseur’s handbook. And what any wine enthusiast will tell you—time has some magical benefits! 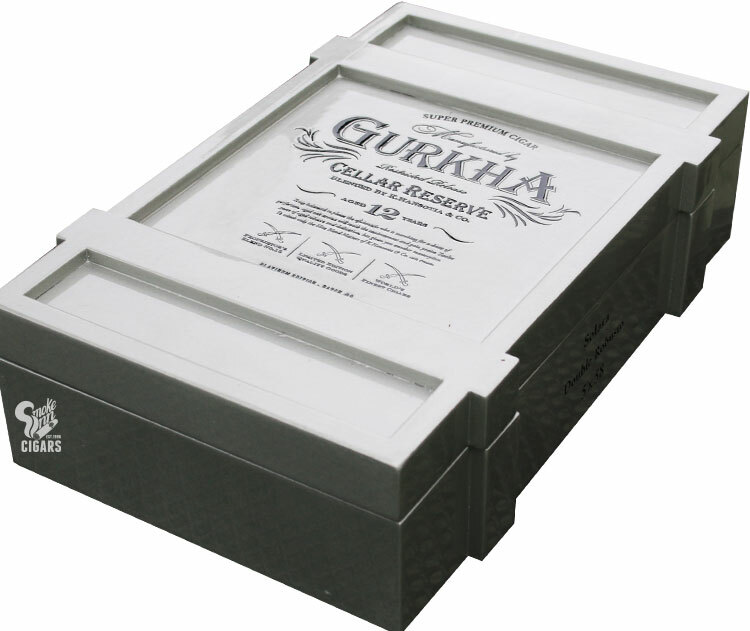 Gurkha opens up their aging cellars to incorporate 15 year-aged tobaccos on this, the appropriately-titled Cellar Reserve. From the box, to the band, to the cigar’s construction, it is immediately noticeable this is a top-notch smoke. The box and band take on the look of a wine crate and wine label—specifying blending and aging information on the rather large and impressive band. The cigars are rolled in a meticulous perfecto vitola and capped with a “cinnamon bun” pigtail cap! But enough with aesthetics, there’s 15 year-old tobaccos in this cigar! First you will notice the dark and oily Criollo ’98 wrapper, which is adorned over a Dominican Olor binder, and finally, encompasses an impressive blend of Dominican 15 year-aged filler tobaccos. This is a medium-full bodied smoke with plenty of complex flavors that will pair perfectly with an equally seasoned wine, whiskey, or cognac of your choosing!